Alistair Taylor was born near Liverpool in Runcorn, Cheshire. After a few jobs in shops and stores he went to work for the Epstein family business NEMS. He quickly became a friend of Brian Epstein and took on the role of his personal assistant. He later became a true insider in the Beatles machine and the boys own Mister Fix-it. He was there when they signed with Brian, he bought John Lennon an island , furnished Paul's Scottish farm for him, he found the Magical Mystery Tour bus and consoled Paul when Jane Asher left him. He even helped Paul write a number one! Today Alistair lives a much quieter life in Derbyshire venturing abroad occasionally to Beatles conventions world wide. He has published his memoirs THE SECRET HISTORY . He spoke to Ian Forsyth on April 10 2002. IF: You went with Brian when he first saw the Beatles at the Cavern club? AT: Yep, November the 9th 1961. He and I walked up Mathew Street from the shop and we went into the club and saw them. IF: Brian was quick to spot their potential, did you see it? AT: No, well we hadn't gone to see about managing them, just out of curiosity. Everyone says we must have known and that's why we went. It wasn't. It was because we had sold a lot of records (My Bonnie) and they were playing close by. IF: Raymond Jones. That was you? AT: Well Raymond Jones has come forward only once in forty years in a very drunken 'phone call to Radio Merseyside. I don't remember Raymond Jones. So I leave it up in the air. You can either believe the late Bob Wooler or me. Either there is a Raymond Jones or I made it up. IF: Well I know whom I believe Alistair! Brian and you had a unique relationship didn't you? AT: It was an amazing very strange relationship. The wonderful thing was I knew he was homosexual and he knew that I knew he was. And he knew damn well that I wasn't. It didn't matter and because it didn't matter it was way above a lot of his other relationships. He knew that when the chips were down he could call on me. We were really just good friends, as simple as that. I thought he was a great guy and I loved him dearly. IF: Although you signed the contract between Brian and the Beatles as a witness, Brian himself never signed it? AT: No he never did. His theory was that if they were not happy at any time they were free to go. IF: People who had any dealings with Brian always say how honest he was. AT: Brian could do deals with his word. If Brian said something that was it. You'll find that confirmed by everyone from George Martin to Sid Bernstein. He didn't need a contract or even a handshake. That's why he was unique and there's never been a manager like him. IF: What is your theory about Pete Best's sacking? AT: Pete was not the right guy for the Beatles. 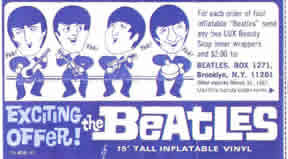 Pete was technically a better player than Ringo but was not the right drummer for the Beatles. It was sad but it is interesting that he later had more than one of his own bands and never quite made it. So something was missing. I said to Brian once 'You know there is something wrong with this group - Pete the drummer. The sound isn't right for the front line. Nothing to do with the person - the sound!' It was too good, too technical, it wasn't raw enough for what the front line was doing. Then I went to work for someone else. When I came back Pete had gone. Brian never mentioned it again. IF: Did you go on any of the Beatles' World Tours? AT: Oh no I was Brian's General Manager, not just for the Beatles but all the other acts as well. I was running a company whilst Brian was away with the boys. We had 70 or so employees and the other acts like Gerry, Cilla, Billy J, The Fourmost, Sounds Inc. The office had to be run. IF: Were any of the other acts jealous of the Beatles taking up Brian's time? AT: Yes it got under a few skins. Gerry got a bit uptight. But fortunately we were very lucky with our artists. They were very bright people who understood. Yeh they got a bit upset but they could see why. And they only had to drop a hint and Brian would drop everything. I remember once Cilla said she was going to move on and get another manager. Next thing was Brian had bought her a new colour TV and wined and dined her with tears in his eyes. The Beatles were so monumentally big and they understood that. 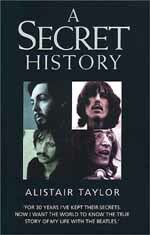 IF: You say in your book The Secret History that Paul wrote a song for Marianne Faithfull what happened to it? AT: Apparently she never recorded it. Paul was composing The Long and Winding Road at the same time. I found him in number two studio at Abbey Road. He was just picking out this tune on a piano. I said that's beautiful, what are you doing? He said Ive just been taping a song for Marianne and this is just a number I've got an idea for. IF: It must have been amazing to see what were basically your mates become these huge cultural and musical legends? AT: I can't understand it to this day. I went to New York Beatlefest recently. 6-7 thousand people! I still think what is this about! As Lennon once said to some hapless journalist 'For Ch31/05/04up'. So now I get some of this adulation. When Beatles fans meet me I'm the nearest they'll get to meet someone who's actually been with the Beatles. To them I become a Beatle! IF: Well I suppose that is the only reward you got for your efforts? AT: Yeh. The most hurtful thing is I'm not mentioned in The Beatles' Anthology. Every other author acknowledges me. As my ghost writer said I've been airbrushed out of history. AT: That's the big question. I'm always asked that. I did my first Convention in 1984 and my fifth in 2002. People come up and say 'Hi Alistair I saw you in 84, 86, 87, 89 and this is my daughter. Why aren't you in the Anthology?' There is so much documented evidence and photographs yet they don't even mention me in the list of people sacked from Apple. Someday someone will tell me. IF: I recently saw a photo of you at the World broadcast in June '67. You were wearing a very snazzy shirt. AT: Yeah Paul bought me that silk shirt for the occasion. That was the only time I saw Lennon shitting himself, not literally of course. He lost his voice ten seconds before the broadcast. It was terrifying but fun. IF: The Magical Mystery Tour you helped out on that? AT: If I enjoyed Apple at all it was that period. I didn't enjoy Apple but that was fun. IF: What was wrong at Apple do you think? AT: It went pear shaped. But I still think the idea and theory behind it still stand. Doing business in a different way, an ethical way. I still think it could be done. But you can't have four individuals pulling in different directions. IF: Which begs the question why did they break up in your opinion? AT: Why? Yoko ? Brian dying? It was a culmination of things. They were on the road for six years! I felt the pressure as an outsider and I wasn't a Beatle! How they survived that long I'll never know. I've got a classic example. I got a letter from George when he was on the second US Tour. It was headed Sunday the something, Somewhere in America. I asked him about it when he got back and he said 'Well, I didn't know where the hell I was'. They just saw different size boxes, cars, theatres. They lived like that for six years! They couldn't go on like that. So they'd had enough. IF: Going back to the Magical Mystery Tour, you found them the bus? AT: A yellow and blue bus which I spotted in Eastbourne on a pouring rainy day. It pulled onto the car park outside my hotel and I shouted 'I've got it' It was a really psychedelic period and they stuck all these bright paper flowers and colours onto it. Within hours some had been ripped off. So in some shots in the film you'll see the bus decorated and in others it's just yellow and blue. It was great fun. IF: And you bought an Island on John's instructions? AT: Yes but he lost interest in it because he went to live in America. He got Shot before he could do anything with it. Yoko eventually sold it and I think she used the money to open a childrens home in Ireland. I can't be certain as I haven't spoke to her for a while. We are great friends. IF: And you furnished Paul's Scottish farm near Cambeltown? AT: Yes his orders were everything second hand except the beds got him a horrible little Formica table and four Formica chairs. We built our own sofa called 'The Sharpes Express' made out of potato boxes and a dirty old mattress we'd found in a barn. They were happy days and to be switched off from days like that is very sad. IF: You also helped Paul write Hello Goodbye at Cavendish Avenue? AT: I always say that it should be by Lennon/McCartney/Taylor. I always make a big joke of it. Because the original idea came from a semi-drunken night up at Cavendish Avenue. Paul and I were larking about on a little harmonium. He was saying come on Al anyone could write a song and I said if they could there would be a million Lennon & McCartneys. But we pumped some air into this harmonium and he said you hit that end and I'll hit this end and let's get a rythmn going. Then he said I'll shout out a word and you shout out the opposite. Black - White, Come - Go. A few weeks later he gave me a white acetate and said there you go that's the new single. It was a number one - Hello Goodbye. So thanks buddy. He won't even speak to me now. IF: Did you like All You Need Is Cash - The Rutles? AT: Oh yes. Brilliant. I was with Neil Innes in New York in March. He's a great character. But there's a marvelous book The Longest Cocktail Party by Richard Di Lello. It's hilarious. If you want to know what Apple was like that's the book. IF: Did you like Derek Taylor? AT: He was a lovely man and a genius with words. IF: Impossible question I know but what is your favourite memory of those heady days? AT: Oh dear now that is difficult. There are so many. Probably the day they agreed to sign for Brian. After a lot of cheering and shouting it went quiet. A voice from the back said "I hope we're gonna make it as a group. I'm sure we're gonna make it. But if we don't I'm gonna be a star' - That was McCartney!